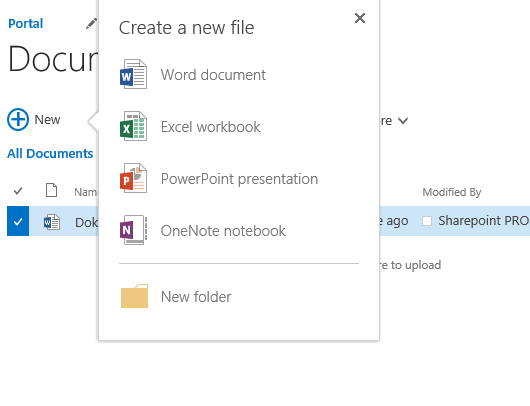 Office Web Apps, which is now Office Online Server, allows to display/edit Office documents(Word, Powerpoint, Excel…etc) on a Web Browser, which is advantageous when working with SharePoint, thus Users don’t have to switch from a Browser to Office App to see or to edit a document. 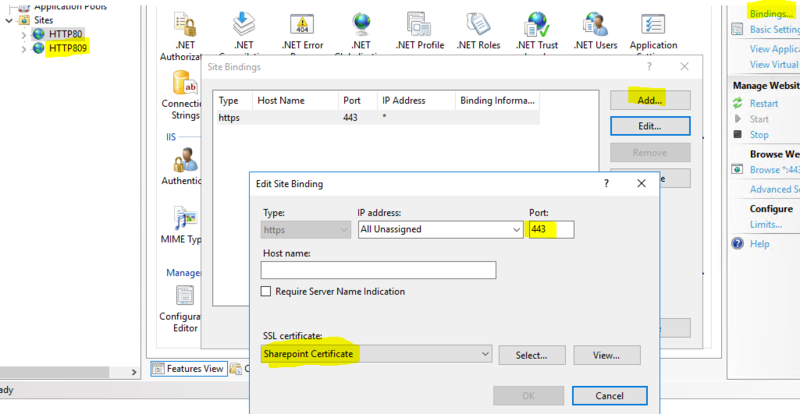 Today i faced a Problem that made me crazy while connecting SharePoint and Office Webapps(Office Server Online). I got the error : “The Server does not respond, trying again”, if i add the parameter -AllowHttp it works though… but here i am trying to implement a HTTPS connection. So here the steps that i followed to resolve the problem. Now you are ready to start the Setup.exe. Now lets move on to SharePoint and it is quite easy, we first need to set a Property on the Farm’s Propertybag. Here it is important to give the FQDN that you used as internal URL, if you just use the server name you will get the error mentioned up. 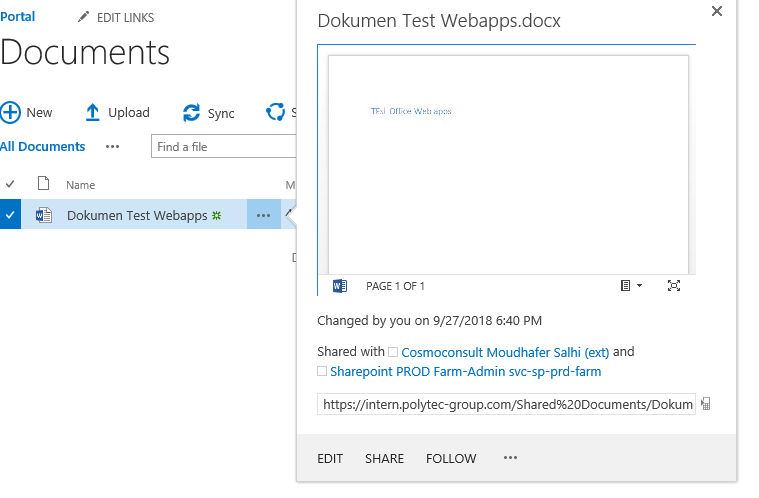 To test if it worked navigate to a SharePoint SiteCollection and you will notice that when you click on “+ new” inside a Library you will now get the Office Templates, instead of the Upload Pop-Up. You will also be able to see the Document Preview and of course open the document in the Browser instead of getting it downloaded.